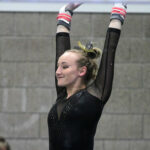 The Gustavus gymnastics team is set to host Hamline at 7 p.m. Friday in a WIAC dual meet. The Gusties are coming off a season-high 184.775 team score against UW-Stout last Friday at home, while the Pipers posted a 182.525 against UW-Eau Claire last week. 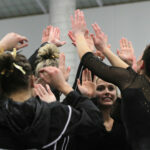 The Gustavus gymnastics teams has been preparing all season long for this meet and its finally here. 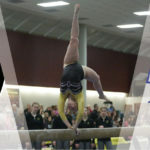 The Gusties are set to compete in the Wisconsin Intercollegiate Athletic Conference/National Collegiate Gymnastics Association West Regional, which takes place March 17-19 at the host site Winona State University. 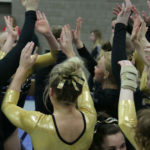 The Gustavus gymnastics team took third at the Blugold Invite Friday, hosted by the University of Wisconsin-Eau Claire. The Gusties posted a team score of 184.750, which is third best in school history, while host UW-Eau Claire won the meet at 186.300 – UW-Stout took second at 185.175. The Gustavus gymnastics team is set for a Wisconsin Intercollegiate Athletic Conference invite at the University of Wisconsin-Eau Claire at 6:30 p.m. Friday. The Blugold Invite features the host Blugolds, Gustavus, and UW-Stout. Gustavus enters the meet with a 2-10 overall record and 2-3 mark in the WIAC, while UW-Eau Claire is 2-11 (1-4 WIAC), and UW-Stout is 3-5 (2-2 WIAC). 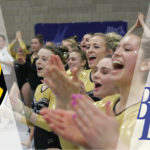 The Gustavus gymnastics team competed in a Wisconsin Intercollegiate Athletic Conference dual meet Friday against the University of Wisconsin-Stout and came out on the short side of a 185.350-183.000 decision. Alex Kopp (Sr., Wayzata, Minn.) and Amanda Malo (So., Greenwood, Minn.) highlighted the Gusties performance with a pair of first place finishes. Koop took first on the vault with a score of 9.500, while Malo took first in the all-around at 36.700. The all-around first place finish is the first of Malo’s young career. The Gustavus gymnastics team returns to the friendly confines of the Sponberg Gymnastics Studio tonight for a 6:30 p.m. Wisconsin Intercollegiate Athletic Conference dual meet against the University of Wisconsin-Stout. 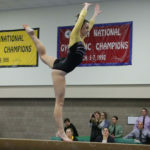 Tonight's meet is designated as Parents Night, as all parents of Gustie gymnasts will be recognized. Gustavus enters the meet 2-6 overall and 2-2 in the WIAC, while UW-Stout is 2-5 overall and 1-2 in the league. 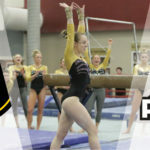 The Gustavus gymnastics team is set to host Hamline University at 7 p.m. tonight in a Wisconsin Intercollegiate Athletic Conference dual meet. The Gusties enter with a 1-4 overall record and 1-2 mark in WIAC duals, while the Pipers are 1-4 overall and 1-1 in league dual meets.